If you remember, we wrote about a Rumpl blanket earlier, but this one is made for your young one. 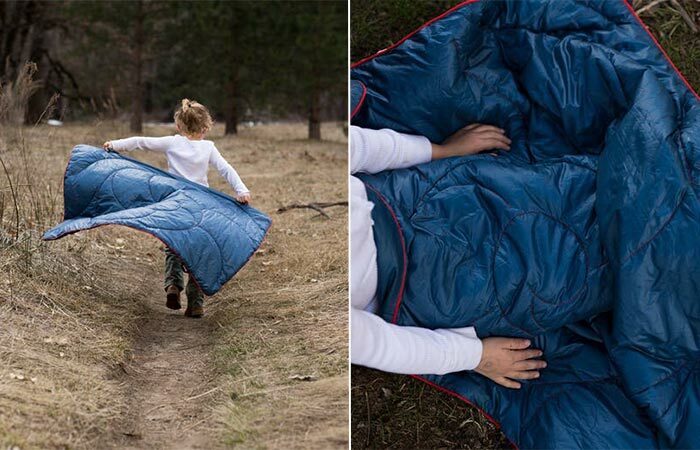 Wherever you go, it’s important to stay warm and this kid-sized blanket will do just that. It’s made from durable ripstop nylon resistant to water, dirt, odor, pet hair and other debris. It features great insulation, it’s super easy to wash it and it dries quickly. 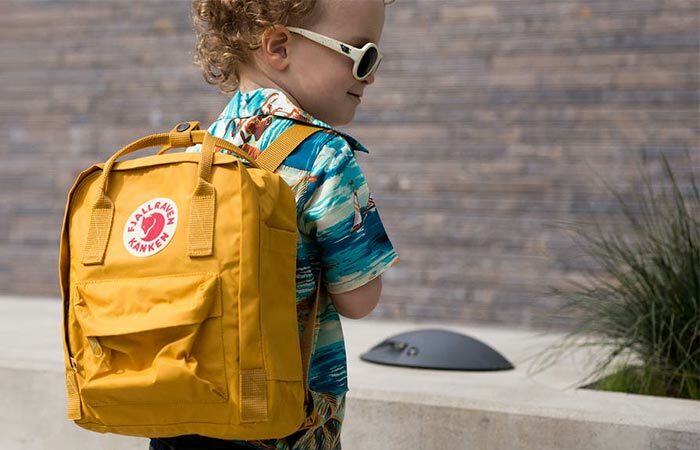 Another cool Huckbaby item is this stylish Fjällräven pack, perfect for packing candies, toys, and snacks. One of its most important features is the tough water-resistant fabric that cleans up easily. Also, the backpack has several pockets and comes in a few colors. 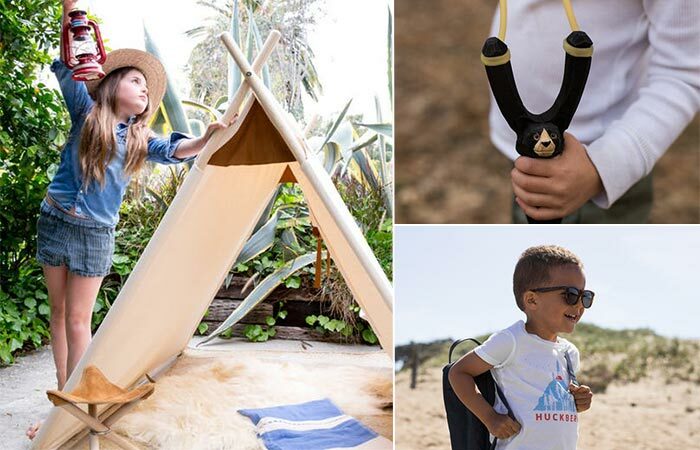 Among other things found in this collection, there’s the cool Fjällräven pack for kids. If you’re taking your family out camping, having a tiny tent for your kid is one of the best ideas ever. Field Tent can also serve as a playroom area indoors. Either way, it’s made from sturdy canvas and ash wood, has a cute little window on the side and is not easy to break. You can also find clothes, toys and EDC. Since toys are a necessity, why not check out this Wooden Bear Slighshot. It’s handcrafted out of wood, comes with a leather projectile pouch and a soft felt ammo. Of course, safety is paramount, so check it out and read more about safety guidelines. Finally, we mustn’t forget the unique Huckberry baby shirt that will be a part of the adventure. It’s soft, comfortable and made from 100% 40’s cotton. View the entire collection on Huckberry here.